Deluxe Electric Double Bass. 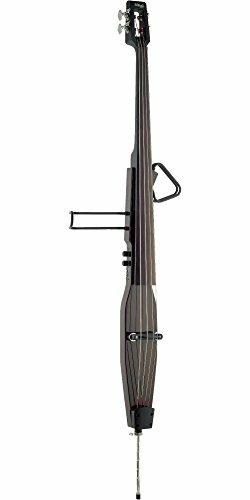 This slender upright bass features solid maple construction and cutting-edge electronics which can be particularly designed for double bass. 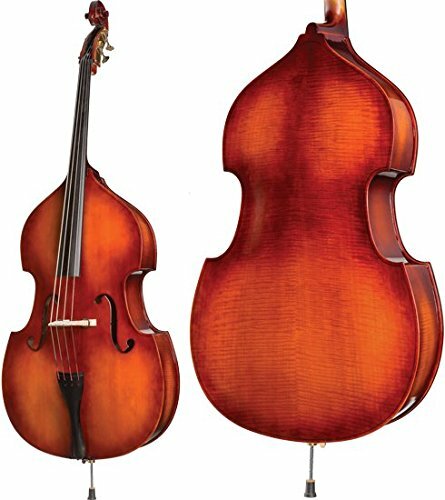 It has a round, heat, natural sound that appropriately presents the complex tone of a high quality double bass. It has an active beneath saddle pickup with Volume and Bass controls. Its output scheme is perfect for practice or performance, with a 1/4 in. main output and a 1/8″ Stereo mini jack input for CD/MP3 player along side a 1/8″ stereo mini jack output for headphones. Diecast nickel machine heads, 3/4 size with included gig bag.